Whats Good On Netflix? 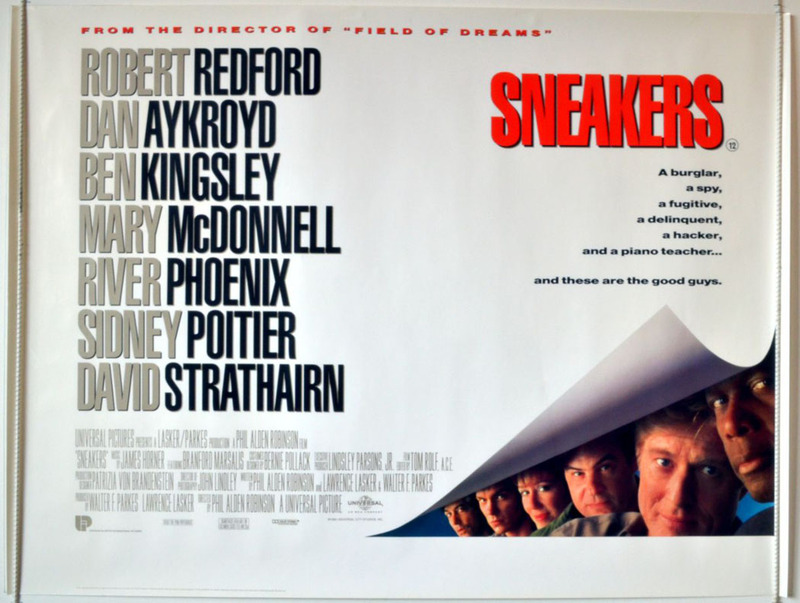 Week beginning 31/08/2014 – Hooray For Movies!! 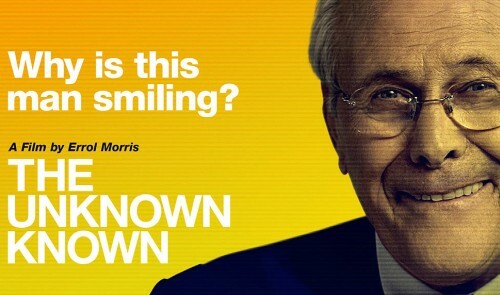 Master documentary film maker Errol Morris (The Thin Blue Line) turns his attention to the public face of the most controversial war in modern history, former US Defence Secretary Donald Rumsfeld. The film takes it’s title from probably his most famous quote about known knowns and unknown knowns in response to the lack of WMD’s in Iraq despite the apparent “solid intelligence” that they were there. Part biography of his time in politics and part dissection of his part in the US going to war in the Middle East in 2001 and 2003, it is a fascinating insight into one of the most iconic US politicians never to have held the highest office himself. Whatever your thoughts on his brand of politics, charting his career through the likes of Nixon, Ford, Bush Snr and Bush Jnr makes for gripping viewing. One of the first things Jon Hamm did with his new found Mad Men industry power was to adapt Mikhail Bulgakov’s semi-biographical memoirs charting his time in turn of the century Russia as a new medical student sent to an outpost town in Siberia. 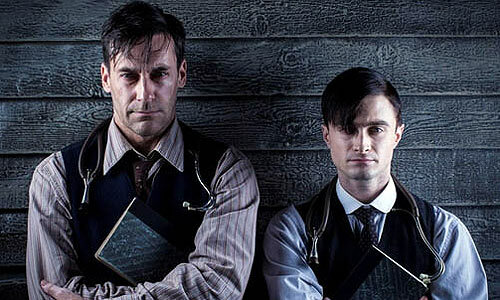 Daniel Radcliffe, in one of his many recent roles designed to distance himself from his Harry Potter persona, plays the young Doctor (referred to only as Doctor) with Hamm playing the older version of himself, with the two often engaging in conversation as the older Doctor reflects on a series of poor choices. It is at is core a screwball comedy and at only 4 episodes in the first series it can be easily digested in one rainy afternoon. 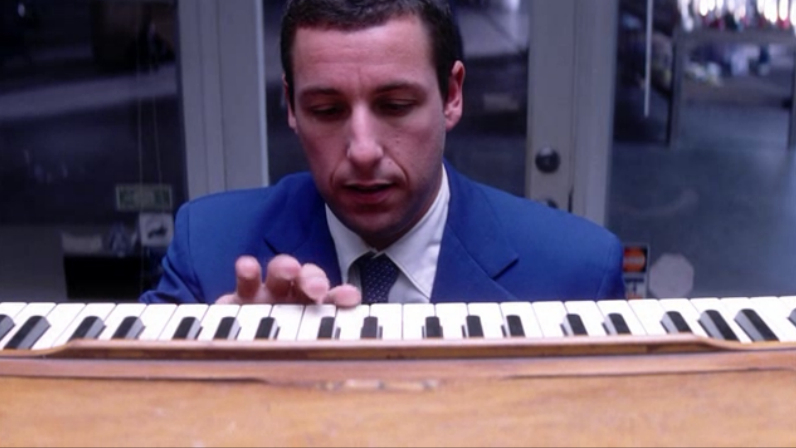 Remember when Adam Sandler showed everyone he could actually act and was more than just a remarkable conveyor belt of terrible yet astonishingly comedies? Yeah well if you haven’t seen Punch Drunk Love you probably won’t do. It was also an interesting change of tone and pace for Paul Thomas Anderson at the time who had until then looked to be the next Robert Altman with two sprawling, multi character masterpieces in Boogie Nights and Magnolia. Dark, sweet, unapologetically idiosyncratic and with Adam Sandler at it’s centre it should by all rights be too quirky to be loveable. Yet it will work it’s way into even the stoniest of hearts by the end of it’s relatively short running time. Shame Adam Sandler would never be able to capitalise on it despite trying to play it straight with Spanglish and Funny People. The film that introduced the world to talented filmmaker Gareth Edwards and secured him the job of rebooting mega franchise Godzilla. Monsters is unique in that it is a movie about living in a World infested by invading creatures but where you rarely see them. Because Edward’s movie is about love blossoming in the unlikeliest of places and the resilience of the human spirit. It was also made for practically no money and edited in Edwards’s bedroom which makes it all the more spectacular. If you want action and gore then this isn’t for you. But if you want believable onscreen chemistry with beautifully shot Central American countryside and the occasional giant creature for good measure then I couldn’t recommend it highly enough. Oh Brilliant! I’ve just finished watching Luther on Netflix so this has come at the right time! I think Daniel Radcliffe is great and has certainly specifically chosen a number of roles to try and distance himself from Potter. 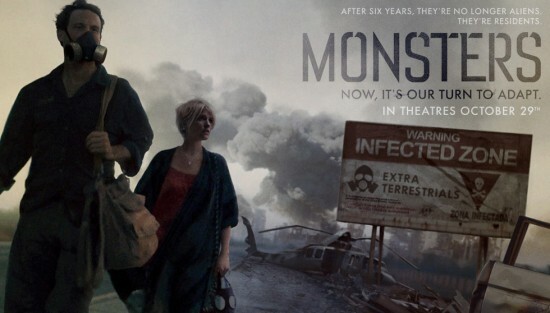 Loooooooved Monsters, and was a little surprised to see there is a sequel imminently coming out. Not from the original team though.